After naming the iPhone X as one of the 25 Best Inventions of the Year, TIME sat down for an interview about the smartphone with Apple's design chief Jony Ive and hardware engineering chief Dan Riccio. 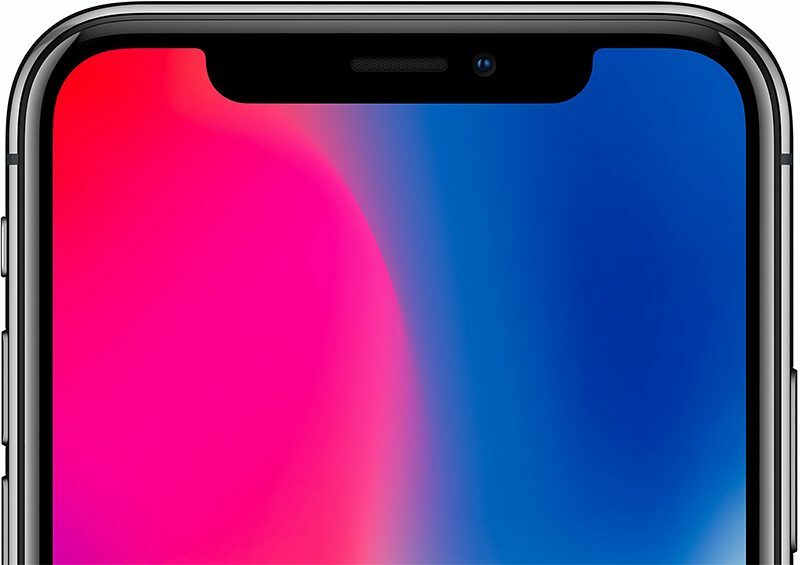 Riccio believes the iPhone X paves the way for the next 10 years of smartphones, given its radical redesign with a nearly edge to edge display, no home button, and advanced cameras for facial recognition and augmented reality. "There were these extraordinarily complex problems that needed to be solved," said Ive. "Paying attention to what's happened historically actually helps give you some faith that you are going to find a solution." That history includes, in part, Apple removing the headphone jack on the iPhone 7 last year, parting ways with the built-in disc drive on the MacBook Pro after 2012, and ditching the floppy drive on the iMac G3 in 1998. "I actually think the path of holding onto features that have been effective, the path of holding onto those whatever the cost, is a path that leads to failure," said Ive. "And in the short term, it's the path that feels less risky and it's the path that feels more secure." Ive acknowledged that it's not always easy for Apple to move past a feature or technology when it believes there's a "better way," and it's easy to see his point given the controversy that each change has generated. Apple was criticized by a fair number of customers for removing the headphone jack on the iPhone last year, for example, and even competitors like Google and Samsung used it as an opportunity to poke fun at Apple. After time, however, many customers usually learn to adapt. Google even removed the headphone jack on the Pixel 2 this year. iPhone X is the most expensive iPhone ever, with a starting price of $999 in the United States, which Ive said is the "financial consequence" of "integrating the sheer amount of processing power into such a small device." "Our goal is always to provide what we think is the best product possible, not always the lowest cost," added Riccio. Despite being expensive, the iPhone X appears to be off to a successful start given sales estimates, and Apple's forecast for an all-time revenue record this quarter. Orders placed today are still backlogged by 2-3 weeks. Definitely insightful. Still doesn't explain who Apple isn't removing HDD (very old-dated tech) and replacing them with SSD for all their Macs. It's like they only remove features that ultimately benefit them. Apple PR machine out in full force today. Wonder if the waning sales of the iPhone X are a cause. Apple removes nearly all ubiquitous ports from a $2K+ MacBook Pro, replaces them with a new standard available only on a tiny percentage of peripherals, and doesn't even bother to put an $8 adapter in the box. Yes, out with the old and in with the new, but that's taking it way too far. I still can’t wrap my head around how the notch is a wise design choice. I know I know, you get used to it after a couple days. Doesn’t change the fact it’s ugly as hell. Adding a small bezel along the top that’s half the height of current notch to house the new tech would’ve been better. Also, I can only imagine the amount of seething remarks people on this site would make if the new Google pixel had a notch on their screen. They’d be in full force mocking it. But since it’s Apple, they can do no wrong. Excited to see what features they remove next year! You needed an edge-to-edge display because the Android guys were killing in there and you couldn't figure out how to get touch ID under the display so you gave us this other garbage instead. Dont get me wrong, I love the iPhone X. I have no problem what-so-ever with the notch, but face ID is pure (provenly insecure) crap. That's strange, because the iPhone 8 has exactly the same amount of processing power without costing 25% more. The “Failure” he referes to is the failure to extract more money from Apple fans.